Paula Alexander started this fund with the Shiawassee Community Foundation as a way to give back to the Owosso community. This scholarship honors the Alexander women in Paula’s family who taught her the importance of education. The Alexander women include Paula’s mother Vera Alexander Markert, her aunt Frieda Markert, cousin Beth Crafts Laug, and aunt Barb Alexander Crafts. The Alexander Women’s Scholarship is available to female seniors of Owosso High School pursuing a four-year program of study. Priority is given to applicants who (1) live on campus outside of Owosso; and (2) are the first generation to attend college. Financial need will be considered. This scholarship fund was established by Lila Lea Lane in memory of her parents, Karl F. and Ziritha H. (Lowers) Allert. Karl was born in Kiel, Germany in 1904 and came to this country in 1924. He worked in a pickle factory in Flushing, Michigan, where he met his wife. They were married on March 8, 1930 and lived most of their life in the Corunna area. They lived and farmed on Vernon Road, and Karl also worked at the Chevy plant in Flint. During his lifetime, he also bought a grocery store in Henpeck, Michigan and worked in the Receiving Department at Montgomery Wards. After selling the store, they moved to a farm on M-21 in 1949 and lived there for the rest of their lives. After Karl’s retirement, he repaired automotive starters and generators at home. Ziritha was a homemaker and also worked with her husband in his starter-generator business. She would make cookies and coffee for the customers and would sit on the stair step and talk with them while Karl worked on their units. Scholarships are offered from this fund to Shiawassee County area high school seniors and graduates with financial need. Applicants must be sincere about learning and attend a college or trade school in Michigan. This scholarship is available to high school or college students who live or grew up in Bancroft, Michigan. Students must be attending an accredited college or trade school. Financial need will be considered. Mr. Charles Beyer started this fund in memory of his wife, Nancy, who passed away on December 9, 1999. Mrs. Beyer graduated from Owosso High in 1949 and received her Bachelor of Arts Degree in Accounting from Michigan State University in 1953. They were married for 45 years and had three children (Steve, Dave, and Deb). Nancy was the bookkeeper for Beyer Building Mart for 20 years. This scholarship is available to Owosso High School seniors. The student selected must be honors caliber, not necessarily with financial need, and preferably not receiving many other scholarships. Recipients must attend Michigan State University. This fund was established in 1990 in memory of Dr. Narayanan Bhaskaran. Dr. Bhaskaran joined the Memorial Hospital medical staff in September 1971 and served as chairman of the department of surgery and the department of emergency services. He was elected to the hospital’s board of trustees in November 1989. The purpose of this fund is to assist a hard-working Owosso High School senior in financial need in pursuing further education in the health field. 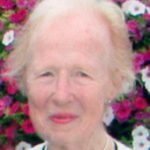 This fund was established by Suzanne Blair Anderson in memory of her mother, Elsie Blair. All her life, Elsie was a fine businesswoman, interested in all aspects of the business world. When Suzanne Blair Anderson passed away in January 2011, her son added her name to commemorate both of these special women. Suzanne was a graduate of Owosso High School and was an active businesswoman like her mother. One of her most gratifying positions was as Executive Director of the Shiawassee Council on Aging. Her vast experience working with seniors led her to this position, where she was instrumental in the growth and success of the organization. The purpose of this fund is to assist a deserving female senior attending a school in the Shiawassee Regional Education Services District to further her education in the field of business. Financial need will be considered. Olive F. (Nye) Blanner was born in 1901 and graduated from Owosso High School in 1920. She attended Central Michigan University, where she earned a teaching degree. She taught at Washington School in Owosso for three and a half years and at Dort School in Flint for over 20 years before retiring in 1950. Olive passed away on February 10, 1987. This scholarship recognizes consistent academic achievement and good citizenship by providing scholarships to Owosso High School seniors and graduates based on application and merit. Applicants must have a 3.3 overall grade point average, must attend an accredited post-secondary educational institution, and must include personal goals and aspirations in their essay. This fund was established by Jack and Florence’s daughter, Christine Mitchell, as a way to keep their memory alive forever. The purpose of this fund is to award scholarships to assist individuals attending an adult literacy program. Jack was born on June 9, 1923 in Saginaw, and Florence was born on January 23, 1926 in Indian River, Michigan. They were married on November 29, 1947 in Saginaw. Florence worked as a pediatric nurse at Saginaw General Hospital before their marriage. Together, they owned and managed Savas Travel Agency in Owosso. Jack was one of the founding members of the Shiawassee Foundation in 1974. In 1991, a group of Byron area community members formed the Byron Community Scholarship Fund. The purpose of this fund is to promote further education beyond graduation and to aid deserving Byron High School seniors and graduates in pursuit of this goal. Scholarships are awarded for vocational school, trade school, or college. In the year 2000, the former Bank One (now Chase Bank) established this fund for the benefit of Byron High School students. The purpose of this fund is to promote further education beyond graduation and to aid deserving Byron High School seniors and graduates in pursuit of this goal. Scholarships are awarded for vocational school, trade school, or college. Jim Duncanson started this fund in 1996 as a way to give back to the Byron community. Jim was born in Orleans, Michigan on September 19, 1917 and graduated from Byron High School in 1935. He then attended Flint Junior College and Michigan State University for his insurance license. Jim enlisted in the U.S. Army Air Corp on January 11, 1942 and served during World War II. He played basketball on the 2nd Air Force team and was the only enlisted man on the team. Jim requested to be sent overseas and ended up in Burma. He married Marjorie N. Graham in Tucson, Arizona on May 19, 1942. He lived most of his life in the Byron area, except 1942–1946, when he served with the U.S. Army Air Corp. He was the chairman of the Byron Sesquicentennial Committee and chairman of the Byron school committee to build the Byron Middle School gymnasium, and he served on the Byron Village Council for several years. Jim was past chairman of the Shiawassee County Cancer Society, member of the Shiawassee County Red Cross, chairman of the Shiawassee County Republican Party, and a delegate to the National Republican Convention in 1956. Jim purchased the Duncanson Garage from his father in February of 1946. In 1965, Jim and Lamont Meier formed the Meier-Duncanson Insurance Agency. Five years later, Jim purchased the agency and renamed it Duncanson Agency. The purpose of this fund is to promote further education beyond graduation and to aid deserving Byron High School seniors and graduates in pursuit of this goal. Scholarships are awarded for vocational school, trade school, or college. This scholarship fund is in memory of PFC Shane W. Cantu, who lost his life during his first tour of duty in Afghanistan. Shane passed away on August 28, 2012 when an explosive device hit his compound in Charkh. He was the first Shiawassee County fatality from the current Afghanistan war. When he was brought home for burial, many residents paid tribute to him by lining the streets from the Durand area all the way to Nelson House Funeral Home in Owosso. The procession began at Bishop Airport and was led by approximately 200 Michigan Patriot Guard motorcycles, Michigan State Police, and local police officers. Our community will never forget that day and the ultimate sacrifice Shane made for the freedom of our country. Shane’s mother, Jennifer Clarke, established this fund to help keep Shane’s memory alive in perpetuity. Shane was born on October 25, 1991 in Owosso and was a 2010 graduate of Corunna High School. He served his country in the United States Army, 1st Battalion, 503rd Infantry Regiment 173rd Airborne Brigade Combat Team. Shane had a fun-loving and entertaining personality, always keeping his friends and family in stitches with his sense of humor and many impressions. He always looked forward to time spent with his loved ones. Shane had a love for football, especially Corunna High School football, where he was a three-year starter on the football team. Even if Shane was hurt and out with an injury, he would still be at football practices with his fellow teammates; he was a true team player. Shane was one of five children, including a twin sister. He was the only boy growing up in a house full of girls. Shane’s plans after serving his country were to study law enforcement and become a U.S. Marshal. As a way to honor Shane, his scholarship is offered to Shiawassee County area high school seniors and graduates planning to study in the field of law enforcement and/or studying to become a U.S. Marshal. Applicants must also possess good leadership skills and have financial need. Grants are also available from this fund to qualifying charitable organizations, schools, health and human service organizations, municipalities, and other governmental entities to support veterans’ programs and projects in the Shiawassee County area. This scholarship fund was established by Doug and Dawn Chapman in memory of their daughter, Emily. Emily, a 2003 Durand High School graduate, lost her life in an auto accident on August 11, 2005. While in high school, she was active in band, soccer, and track and was in the National Honor Society. Emily loved animals—especially her dog, Matty—her many friends, and the outdoors. She was a special young lady with the world before her. Emily’s love of children is why she was a nursing student at University of Michigan-Flint, where she was consistently on the Dean’s List. She was set to begin her second semester in nursing in the fall of 2005. Scholarships are offered to Durand High School seniors and graduates pursuing a career in the medical or nursing field. This fund was started in memory of Robert J. Cole and is intended to benefit Byron Area Schools and/or its students with financial assistance. The Philip and Inez Colton Memorial Scholarship Fund was established in July 2013 by their sons, Timothy and Robert. Scholarships from this fund are offered to seniors attending a high school in the Shiawassee Regional Education Service District who are planning to study skilled trades or engineering. This scholarship can be renewed for students who are continuing with their course of study and maintaining at least a 3.0 GPA for up to 3 renewal years (4 years total) and a total maximum of $2,000. Preference is given to those students with financial need who are working and/or have significant volunteer work experience. Philip and Inez are both Durand High School graduates who raised their family in Durand. Philip retired from General Motors in 1989, and Inez retired as a Secretary for the U.S. Attorney’s office in 1993. Philip served on the Durand City Council for eight years, also serving as Mayor ProTem. Inez loved children and was a tutor for the Shiawassee Adult Literacy Program. She especially loved her time working in the nursery at the First Baptist Church of Durand. Inez also worked as a consultant for Baker College in Owosso as they developed their secretarial program. Both Philip and Inez spent many years volunteering for Roving Volunteers in Christ Service (RVICS). They traveled extensively, visiting places on five continents and in all 50 states. This scholarship fund was established to remember Phyllis and Alton Crandell in perpetuity. They were both graduates of Durand High School and lived most of their lives in Durand. They were married in June 1940 and lived in the Detroit area with their two children, Dianne and James, until 1946. During World War II, Alton worked for Murray Body in Detroit and returned to Durand after the war, where he worked for Grand Trunk Railroad until 1957. He then went to work in Lansing for Fisher Body until his retirement in 1974. Phyllis worked for the Shiawassee County Bank in Durand and then as secretary to the Superintendent of Durand Schools. Scholarships from this fund are available to Durand Public High School seniors and graduates planning to attend a college in Michigan. Preference is given to those students with a genuine economic need, reasonable academic ability, and good character. This fund was established by the Dasen family as an everlasting tribute to Karen K. (Stehlik) Dasen. Karen was a 1978 Corunna High School graduate who lost her battle with cancer at the young age of 25. Karen enjoyed horses, cheerleading, and spending time with her family and friends. She attended business college and worked for the State of Michigan and, later, for an attorney in Lansing. During her courageous struggle with cancer, she was an inspiration to those who knew her. The purpose of this fund is to assist a deserving female senior student from Corunna High School to further her education at any accredited college of her choice pursuant to her career goals. Recipients should display the following qualities: civic responsibility, compassion and concern for others, good character, and a value system to live life to its fullest potential. Financial need is not essential but will be considered. The Rollin V. Dasen Memorial Scholarship Fund was established by his wife, Etta, as a way to carry on his legacy. Mr. Dasen worked for WKAR Radio, Channel 23, for 34 years as an audio engineer. In addition, he was a contractor for 15 years. He graduated from Owosso High School in 1950 and furthered his education at Michigan State University. He served in the United States Army Air Corps during World War II as a code breaker with the Occupational Forces in Germany. He was very active as a Fair Board member, 4-H leader of the Caledonia Pygmy Goat Club, and a beekeeper who loved hunting, fishing, and feeding baby pygmy goats. In 2001, Rollin served as Worshipful Master of the Owosso Masonic Lodge. This scholarship is available to Shiawassee County area high school seniors and graduates who demonstrate good character and community service and have financial need. Students must plan to attend Michigan State University pursuing a degree in either the College of Communication Arts and Sciences, College of Education, College of Arts and Letters, or the College of Natural Science OR Central Michigan University pursuing a degree in either the College of Communications and Fine Arts or the College of Education and Human Services. The Drew Decker Memorial Music Scholarship Fund was established by his parents as a way to keep his legacy alive. Drew was born on November 7, 1984 in Owosso, Michigan, the son of Ralph and Debra Decker. Drew passed away on July 9, 2009, at the young age of 24. He loved music, family, and friends. Because of Drew’s passion for music, his parents decided that the purpose of his scholarship fund is to award scholarships to Shiawassee County are high school seniors and graduates pursuing a career in music or planning to attend band camp. Financial need will be considered. This scholarship fund was started to honor Norman L. and Marcella C. DesJardins. Norman DesJardins, who passed away on July 19, 1979, was a graduate of the University of Michigan and a practicing attorney in this community for more than 50 years. During his lifetime, Norman demonstrated a genuine interest in the advancement of higher education. Marcella DesJardins, a graduate of Chatham College in Pittsburg, Pennsylvania, was a high school teacher in the Flint public schools for 20 years and, likewise, has always shared a keen interest in fostering higher education. This scholarship is available to Owosso High School seniors planning to attend a four-year college or university of their choice. Financial need will be considered. Margaret Dittenber’s children—Nancy Balko, Kenneth Dittenber, and Janet Haas—established this fund in memory of their mother. While married and raising three children, Margaret continued her education at Central Michigan University and obtained her teaching degree. When she retired in 1987, she had dedicated 36 years of teaching in the AuGres community. Scholarships are available to graduating seniors of AuGres Sims High School seeking a career in education. This scholarship fund is in memory of Shana Lynne Dumond. Shana, the daughter or Wayne and Lorie Dumond, the sister of Kaylee and Emily, was involved in a water collision on July 18, 2004 and passed away seven days later, on July 25. She was only 18 years old and looking forward to her senior year at Owosso High School. She was active playing varsity tennis, volleyball, and softball along with art and volunteering. Ironically, Shana made her wishes known weeks in advance of this tragedy that she wanted to be an organ donor through the Gift of Life organization. Shana’s organs saved the lives of dozens of people who would not have had another day. Shana had a unique “Barbie” personality, seeing everything as being bright (as in pink). She was full of dreams and hopeful in all situations. Her faith in God made her true to believing that as you give unto the world, the world will give to you. She taught her family and friends that her life was worthwhile, knowing as she passed along the way she made someone smile. Shana’s friends at Owosso High School paid tribute to her by planting a tree next to the OHS softball field. A ceremony was held in May 2005 with members of the high school varsity softball team releasing pink balloons into the sky. Her friends wore pink team shirts that read “Angels in the Outfield.” Scholarships from this fund are made possible by an outpouring of community support and are awarded to Owosso High School seniors and graduates. Preference is given to those who are organ donors (as was Shana), have a healthy lifestyle, and are artistic. The Durand Lions Club started this endowment fund to benefit Durand or Byron High School seniors and graduates. Preference is given to applicants pursuing a career in ophthalmology or audiology or who are visually or hearing impaired themselves. Scholarships from this fund are available to students of either St. Mary Church in Durand or St. Joseph Church in Gaines. The applicant’s family must be a member in good standing of either church as verified by the parish pastor. Other qualifications are leadership in the parish and community; and acceptance and then attendance at an accredited institution. The scholarship is merit-based, without regard for family income. Students may apply for this scholarship more than once. The Durand Rotary Club started this fund in an effort to recognize Durand High School seniors, who have improved their academic performance, demonstrate good character, and have a grade point average that is adequate to predict completion of a college or trade school program. This fund has been established in memory of Shelli (Bowles) Edgington. Shelli was only 40 years old when she passed away in 2004. Her parents, James and Joyce Bowles, started this fund to carry on her legacy. Scholarships from this fund will be offered to Corunna and Owosso High School seniors and graduates, with preference given to those pursuing a career in the medical and/or nursing field. Both Alford and Alice gave their lives to others and to improving life around them.  The Alford and Alice Emmert Scholarship Fund is offered to Shiawassee County area high school seniors with emphasis on the applicant’s financial need, self-motivation, and community service. This scholarship is awarded only to students attending a four-year accredited college or university. The following list of studies, in order of priority, may be funded by this scholarship: agriculture, forestry, hard sciences (engineering, physics, chemistry, etc. ), natural sciences, biology, veterinary medicine, economics, international studies/history, computer sciences, accounting, teaching, and other studies not specifically excluded. Excluded from consideration for this scholarship are a course of study in pre-law/law, pre-medicine/medicine, political science, sociology, psychology, and athletics/sports. Priority is given to those students in financial need and who would most likely not receive another scholarship of this magnitude. This scholarship fund was started in September 2010 to honor Edward William Flynn. Edward owned and operated Doll-Flynn, Inc. for more than 30 years, designing and holding a patent on Doll-Flynn glass washing systems. He also owned and operated E.W. Flynn Co., Eddie O’Flynn’s Restaurant, and Cruiser’s Auto Wash. In addition, he operated the Flynn Family Tree Farm for 20 years. He was a member of St. Paul Catholic Church, the Knights of Columbus, the Shiawassee Conservation Club, the Dog and Gun Club, and the Eagles. His passion in life was his boat, which he kept in Frankfort for almost 30 years. He enjoyed hunting trips with his brothers in the U.P. and especially loved taking his grandchildren out in his own beautiful private woods. This scholarship is available to Shiawassee County High School seniors planning to major in the field of natural resource conservation including, but not limited to, aquatic sciences and/or forestry. Financial need will be considered. Rebecca Galloway left a large bequest in her will to the Shiawassee Community Foundation to establish the D & B Galloway Scholarship Fund. The purpose of this fund is to award scholarships to Shiawassee County area high school seniors and graduates who are pursuing a nursing degree. Becky and Don Galloway were both born and raised in Owosso. Don’s mother was a stay-at-home mom, and his father was a policeman who later worked for the Sheriff’s Department. Becky’s parents were born and raised in Owosso. Her mom was a practical nurse and her dad was a carpenter. Don and Becky were married in 1940 and lived all of their married lives in Owosso. Don passed away in 2000. They had three children: one son, Robert Edward, and two daughters, Nancy Lee and Katherine Ann. All three children were lost in automobile accidents. As a result, Don and Becky were great supporters of Mothers Against Drunk Drivers. Don served his country in the First Armored Division from Africa to Sicily and then on into Italy to free Rome. He was wounded and was well cared for by the Army nurses. He had great respect for them and marveled at their ability to work under such dangerous conditions and with such limited supplies. He shared this with Becky and together they vowed if there was ever a way they could help to improve this situation they would. This is the heartfelt reason for creating this legacy of scholarships that will promote education for future nurses, AKA angels of mercy. This fund was started by David Gapinski in memory of his wife, Cheryl. Cheryl Gapinski was born on March 12, 1945 in Milwaukee, Wisconsin. She passed away on September 25, 2017 at the age of 72. Cheryl graduated from high school in Cincinnati, Ohio. She attended Miami University and graduated in 1967 with a Bachelor’s degree in Music Education. In 1997, she obtained a Master’s degree in the Art of Teaching from Marygrove College. She taught at schools in Blue Ash, Ohio and Owosso and Corunna, Michigan. She had an indelible influence on thousands of students. Additionally, Cheryl was a member of numerous music associations and was the recipient of many awards for her teaching and directing. Over the course of her career, Cheryl celebrated her love of music through teaching, performing, directing, and participating in community activities. Cheryl was an active member of the First Baptist Church of Owosso and was the Director of Music for the First Congregational Church for 20 years. Later, she was a hand bell director for the First Baptist Church. Scholarships from this fund are available to Owosso High School and Corunna High School students who plan to study music education or attend music camp. The GFWC Owosso Women’s Club established a scholarship fund at the Shiawassee Community Foundation in November of 2012. The purpose of this fund is to assist a worthy Shiawassee County area high school senior or graduate who has maintained a high scholastic standing in acquiring a higher education. Financial need is also considered. The GFWC Owosso Women’s Club has been around Owosso for 117 years. The club started in 1895. At one time there were 240 members and meetings were held at the Owosso City Club. After World War II, women began to work outside the home and the club gradually got smaller and eventually began meeting in the homes of their members. The GFWC (General Federation of Women’s Clubs) is an International Organization. There are 75 clubs in Michigan and women throughout the United States work for goals centered around the arts, conservation, education, home life and public and international affairs. The family of Cyril and Ella Gregoricka started this fund to honor their parents and as a way to give back to their community just as their parents have done for so many years. Mr. Cyril Gregoricka passed away on July 31, 1998. He was chief executive officer of Viron International Corporation and was a self-employed agriculturist. Two scholarships are available to seniors attending a high school in Shiawassee Regional Education Services District: one scholarship for those studying environmental engineering and the other for those pursuing a career in agriculture. Qualifications also include civic responsibility, compassion and concern for others, and a good character and value system. Financial need will also be considered. Applicants applying for the agriculture scholarship must also be involved in FFA. This scholarship fund was started in December 2011 by Cloyse Lundie to honor his sister, Phyllis Lundie Gruver. Phyllis graduated from Owosso High School in 1955 and then attended Houghton College in New York State, earning her bachelor’s degree in nursing from Northwestern University in Chicago. She worked for 45 years in the nursing field. The last 15 years were dedicated to hospice care. Phyllis will always be remembered for her generosity and compassion not only to others, but to animals as well. She was married for 46 years to her husband, David, and had three children. Scholarships are awarded from this fund to seniors of Durand High School or Owosso High School planning to study in the medical field. Financial need will be considered. The Haas family established this fund as a way to carry on the memory of Harold Haas forever. Harold was a long-time Owosso businessman and civic leader. He graduated from Lorain High School in Ohio and then attended Oberlin Business College. He served as a Captain in the United States Army during World War II and was stationed in the Pacific Theater, becoming part of the Occupation of Japan. Following his discharge from the Army in 1947, Harold moved to Owosso to manage Owosso Iron and Metal, which he later purchased in 1967 and retired from in 1986. During the last 20 years of his life, he and his wife, Phyllis, would spend their winters in Long Boat Key, Florida. Harold was active in the community. He belonged to the Rotary Club, Elks Club, and the American Legion. He was a member of the Masonic Lodge and, in the early 1970s he served on the Owosso City Council. He was an avid golfer and member of the Owosso Country Club as well as a devoted Michigan State University Spartan fan. The purpose of this fund is to provide scholarships to deserving Owosso High School seniors planning to further their education at Michigan State University. Financial need is not essential, but may be given consideration. Applicants should have participated in high school athletics (not necessarily excelled in athletics, but shows qualities of true sportsmanship and is a team player). This fund was started by the Harder Family in memory of their parents, Harry and Olive Harder. Mr. and Mrs. Harder were long-time residents of Durand who were strong supporters of the Durand Area Schools and, in particular, the instrumental music department and the vocational agriculture program. This scholarship is available to Durand High School freshmen, sophomores, or juniors. Applicants shall have demonstrated scholastic aptitude and be interested in the lifelong pursuit of instrumental music and/or the leadership program of the FFA. The student may not be a senior, as it is desired that benefits gained from the program will be shared with classmates. Financial need shall be considered in the event of limited scholarship availability. A student may receive one scholarship from this fund during their high school career. The Coach Tom Harkema Athletic Scholarship Fund was established by his wife, Sue, at the Shiawassee Community Foundation. Our community lost not only a great coach on January 6, 2014, but also a wonderful man who touched so many lives in a positive way. Community members have shown an enormous amount of support and outpouring of sympathy to Tom’s family and friends. Scholarships from this fund are available to Owosso High School seniors with financial need. Applicants must have participated in athletics with priority given to those who participated in football and track. Students must demonstrate compassion and concern for others and be good citizens with high moral character. This fund was started by Dennis Hogan as a lasting tribute to his wife, Ellane. Ellane worked as a Registered Nurse at Holy Cross Hospital in Washington, D.C. and then a nurse in a pediatrician’s office in Maryland. She dedicated 22 years as a labor and delivery nurse at Memorial Healthcare. 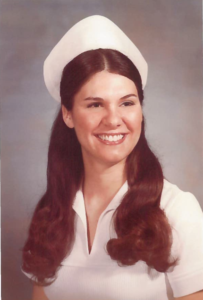 At the time of her death in March of 2007, she worked through the Shiawassee County Health Department as a nurse for Owosso Public Schools. Ellane was born on October 25, 1946 in Peekskill, N.Y. and graduated from Washington Hospital Center in the District of Columbia in 1967 with a diploma in nursing. She married Dennis on November 22, 1996, at the Owosso Church of the Nazarene. Ellane enjoyed traveling, bicycling, and being outdoors, but her love and passion was caring for kids. Applicants must be Owosso High School seniors who are planning to attend any Michigan college and pursue a career in nursing. Dr. Green passed away on June 26, 1989, at Memorial Hospital in Owosso. He was only 49 years old. He had practiced medicine in Owosso since 1971. Dr. Green was born in Marlette, Michigan, on September 22, 1939, the son of Amos and Pauline Green. He attended high school in Yale for three years and was a 1957 graduate of Owosso High School. He attended Mott Community College in 1960, graduated from the University of Michigan, Flint with distinction in 1962 and the University of Michigan Medical School in 1966, interned at Hurley Hospital in Flint from 1966 to 1967, and did surgical residency at McLaren Hospital from 1967 to 1971. Dr. Green was a member of the Michigan State Medical Society, past president of the Shiawassee County Medical Society, Diplomat of the American Board of Surgery, and a member of the American Society of Abdominal Surgeons. Dr. Green’s sister, Brenda Strieff, serves as a member of the selection committee of this fund. A significant increase in funding was donated to this fund by Dr. Green’s father, Amos E. Green, in 1998. Amos was born on March 16, 1910, in Fairfield Township, Michigan. He had lived in Yale, Michigan, but most of his life was spent in Owosso. On April 8, 1934, he married Pauline Briggs in Brown City, Michigan. She predeceased him on December 26, 1974. Amos retired in 1972 from Charlie Dynes Implements in Corunna. Dr. Green aimed the scholarship at first to Owosso High School graduates only but agreed that scholarships would be extended county-wide when the fund grew. Applicants for this scholarship must be education majors, with preference given to those aspiring to be History/Social Studies teachers at the secondary level of public schools. This scholarship is offered to seniors and graduates of a high school in the Shiawassee County area with preference given to Owosso High School students and alumni. The applicant’s GPA may be average or higher, and financial need will be considered. Demonstration of good character and citizenship are determining factors. The Cheryl L. Hrcka Memorial Scholarship Fund was established by her husband, Dennis. Cheryl lost her battle with cancer on August 4, 2004, surrounded by her family and friends. She believed that one definition of love is looking for good in others, and she practiced this love–especially with teenagers. The Hrcka Family hopes that by establishing this fund, her good example will be carried on by others. Cheryl was born on September 28, 1947 in Patterson, New Jersey and graduated from Ridgewood, New Jersey. She attended Hillsdale College and received a certificate of Ecclesial Lay Ministry from Siena Heights. On August 26, 1967, she married Dennis Hrcka in Saddle River, New Jersey. She was a member of St. Joseph Catholic Church in Owosso. She was a lay minister for the Diocese of Lansing and a mentor at St. Joseph Church, where she was involved with church activities, including singing in the choir and facilitating various youth activities. Cheryl retired as the religious education director at St. Joseph Catholic Church. Cheryl was a lady of faith and determination, always positive, who had special love for her children and grandchildren. 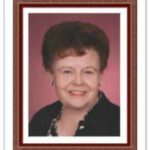 She was an avid reader and loved to garden. She was very imaginative and creative. She loved to do crafts, particularly painting and various other forms of artistic expression. The purpose of this fund is to provide scholarships to religious education seniors attending a high school in the Shiawassee Regional Education Services District who plan to further their education at a college, trade school, or religious education program. Students must be members in good standing of a Shiawassee County Catholic Church and be a good citizen with high moral character. Financial need will be considered. In February 1987, the Harold V. Johns Memorial Scholarship Fund was established by Elaine Johns Zinnecker in memory of her father. Mr. Johns was a former barber in Owosso for 47 years. In October 1999, Mrs. Ima Johns passed away at the age of 96, and her name was added to the fund. Mr. and Mrs. Johns were married on June 1, 1929, and were both active members of the former Evangelical United Brethren Church and then the First Free Methodist Church of Owosso. Mrs. Johns was a homemaker who worked for 6 1/2 years at Swanson Manufacturing and 10 1/2 years at First Federal Savings and Loan of Owosso before retiring in 1973. Applicants must be Owosso High School seniors who are planning to attend college and pursue a career in either nursing or in the field of Christian Ministry, Christian Missionary, or other Christian work (youth work, etc.). Kailey lost her life at the age of 16 in a car accident on September 5, 2004. Kailey, the daughter of Pat and Lynn Jordan, was a junior at Durand High School and was active in tennis, soccer, track, cross country, volleyball, and working on the yearbook staff. Her love of horses led her to compete with several organizations. After graduating from high school, Kailey wanted to further her education in either horse training or photography. Memorial donations received from friends and family were used to establish this endowment fund in Kailey’s memory. Scholarships from this fund are awarded to Michigan horse camps to allow needy, handicapped, or terminally ill children to reap the benefits of therapeutic horseback riding. The Donald A. Knieper Memorial Scholarship Fund was started by his wife, Janet, in 2008. Don and Janet were married for 44 years. Don supported New Lothrop wrestling as a fan and a parent for over 30 years. He was a board member of the Hornet Wrestling Club for 9 years and a long-time member and president of the New Lothrop Athletic Association. He was recognized by the Twin Township Ambulance for 25 years of service. All four of their sons–Derrick, Dwayne, Anthony, and Dennis–wrestled for New Lothrop, and Don was privileged to see all of his sons reach the MHSAA Individual State Finals. Don was a pillar of New Lothrop Wrestling and in the larger community. Scholarships are available to New Lothrop High School seniors planning to attend an accredited college or trade school. The Kris Marie Kulhanek Memorial Fund was established in October 2006 after Kris lost her life in a car accident. Kris worked as a Veterinarian Technician for Veterinarian Services through the USDA. She was born on September 5, 1979, the daughter of George and Kathleen Zmitko. After graduation from Owosso High in 1998, she earned her Bachelor’s Degree in Agricultural Science at MSU. She married Jacob Kulhanek in August 2004. Kris loved everything about horses, from riding, to showing, to being co-leader of the Rangers 4-H Club. In honor of Kris, this endowment fund will award scholarships to seniors and graduates of a Shiawassee County area high school, with preference given to members of 4-H and those studying agriscience. The LaJoye-Shenk Scholarship was started by Jim LaJoye and David Shenk in 1992 to assist deserving high school seniors further their education at a college in Michigan. Both Jim and Dave served a combined 63 years in law enforcement in Shiawassee County before retiring in 1996. Several years ago, both men decided to host a golf outing as a fundraiser during Jim’s bid for Shiawassee County Sheriff. In 1991, when they were no longer campaigning, they decided to turn the remaining funds into a scholarship fund. They continued to host golf outings to raise monies for this fund. In the years when only one scholarship is available, it is offered to Durand High School Seniors only. When two or more scholarships are available, the scholarship is offered to all Shiawassee County High School Seniors. The Jackie Leone Memorial Scholarship Fund was established in August of 2013 by her daughter, Melissa Shepard. Scholarships from this fund are available to Owosso and Corunna High School seniors and graduates with financial need. Preference is given to Journalism majors, but English majors will also be considered. Jackie began her employment at The Argus Press in August of 1965 as a Corunna High School co-op student as a perforator. She became a full-time employee after graduating in 1966 and moved to the editorial department. She remained in that position for many years and was responsible for content and production of The Argus Weekly. She retired as copy desk chief after 42 years in 2007. Later in 2007, Jackie accepted a part-time staff writer position with the Independent Newspaper Group. During her journalism career, she earned numerous Associated Press, Michigan Press Association, and Michigan Press Women awards for writing, page layout, and photography. Jackie also attended Lansing Community College. She served as second vice president of the Michigan Press Women and for several years on the board of Respite Volunteers of Shiawassee. She also served two terms on the Shiawassee County Housing Rehabilitation Advisory Committee. Jackie was involved with the Curwood Festival as a volunteer and chairman, originating and then coordinating the festival’s Curwood Saga writing contest for youth for 15 years. 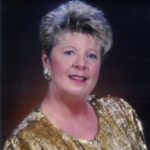 She served on the Curwood Festival’s board for eight years and was Festival President in 1999 and 2000. She was Past Honored Queen of Corunna Bethel 41, International Order of Job’s Daughters. Jackie was a member of the National Council of Corvette Clubs and was a former member of the Shiawassee Corvette Club. She was also a member of the Mid-Michigan Old Gas and Tractor Association. She had a love of dogs her entire life and was a strong supporter of the Shiawassee Humane Society’s efforts and Michigan Samoyed Rescue, providing a MSR foster home for numerous abused Sammys and adopting three from the organization herself. Jackie served on the Public Relations Committee of the Shiawassee Homeless Coalition and received the 4th and 11th annual Building Hope Awards for her support and writing efforts on behalf of the Coalition. She worked for many years with Relief After Violent Encounter (now SafeCenter) in an attempt to bring community awareness to the issue of domestic violence through her newspaper articles, earning a Make a Difference Award from that agency. She also worked closely with Capital Area Community Services, including serving on the Walk for Warmth planning committee. In November of 1994, Jill Malzahn was on her way home from classes at University of Michigan-Flint when a semi-trailer ran a red light at the intersection of M-21 and M-13 and hit her car on the driver’s side. Jill passed away at the young age of 18. She was attending University of Michigan-Flint in hopes of becoming a pharmacist. She was born in Flint on July 11, 1976 and was a resident of Mt. Morris and Owosso all of her life. She was a member of St. Andrew’s Lutheran Church. This fund was established by Jill’s parents, and scholarships are offered to Shiawassee County area high school seniors and graduates who want to pursue a career in the medical field. Financial need is not essential but will be considered. The Robert McAlpine Memorial Scholarship was established on April 17, 2012. Mr. McAlpine was a former Durand High School teacher who passed away in August of 1965. He was also a noted community leader whose involvement included serving on the city council, musical endeavors, and managing a paint crew in Durand. Scholarships from this fund are available for Durand High School 10th and 11th grade students to attend band camp. GPA and citizenship are considered, in addition to those students showing an interest in pursuing a vocation in the field of this scholarship. This scholarship is limited to $100 per student and no more than half of the total cost of band camp registration. 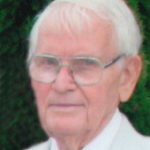 The Raymond McLaughlin Memorial Scholarship was established on April 17, 2012. Raymond was born on October 9, 1950 in Owosso and passed away from cancer on December 17, 1984 in Clearwater, Florida. He was the son of Ruth I. (Hornstein) and Ray F. McLaughlin. Raymond lived in Durand until he went to the University of Michigan. He played in the Durand Area Schools Bands and went to the Rose Bowl with them in 1966. He also played in the University of Michigan Band that went to the Rose Bowl in 1970 and 1972. He graduated from University of Michigan in 1973 and went on to get his Master’s Degree at Oakland University. He taught at Romeo Public Schools from 1973 to 1981 and Lakeland Junior High School in Florida from 1981 to 1983. Raymond married Victoria Fuller on June 20, 1975. The purpose of this fund is to provide scholarship awards to assist the instrumental music development at Durand High School. The scholarship may be used for any of the following criteria: (1) Clinics or camps for students in grades 7 through 12; (2) Payment for a visiting professor of instrumental music for the instructional development or instrumental music; (3) Payment for the composing and/or publishing music at Durand High School. Eugene “Gene” M. Moiles was born on September 3, 1922 in Owosso, the son of Harry and Jennie (Gurden) Moiles. He graduated from Owosso High School in 1941 and proudly served in the U.S. Army. Gene was a member of First United Methodist Church and the Corunna VFW Post. He enjoyed all sports, including running, track, golfing, and football. Gene married Joyce Lawcock in Owosso on August 4, 1951. Gene retired from Consumers Energy in 1980 after 29 years in the engineering department. He passed away at the age of 95 on July 28, 2018 in Owosso. Joyce Arlene Moiles was born on May 11, 1925 in Lennon, the daughter of Howard and Katherine (Kerr) Lawcock. She was a graduate of Owosso High School, Class of 1942. Joyce was a member of First United Methodist Church and American Red Cross for more than 25 years. She enjoyed baking, reading, and–most of all–spending time with her family. Joyce was a homemaker who spent her life raising and caring for her family. She passed away at the age of 92. This scholarship is available to Owosso High School seniors with financial need, particularly those students who might not be able to attend college without the assistance of a scholarship. Scholarship recipients who maintain passing grades in college may be awarded the scholarship for multiple years. Scholarships are available to those students planning to study in the fields of math, science, business, or technology. Students must attend a Michigan college other than University of Michigan or University of Michigan-Flint. Dr. Montague was a long-time, well respected dentist in our community. In his will, he left a bequest to the Shiawassee Community Foundation to provide an annual scholarship of $1,200 for young people recommended by Owosso Musicale. This fund was established by the Bob Nelson Family and memorials from friends and relatives of JoAnn Nelson. JoAnn passed away from cancer on October 21, 1994 at the age of 42. Those who knew JoAnn will remember her as quick to smile, slow to criticize, willing to pitch in and work, unwilling to compromise, the first to accept a challenge, and the last to give up. JoAnn was born in Owosso on January 23, 1952. She attended St. Paul school and graduated from Corunna High School in 1970, where she played basketball. She particularly loved riding horses and was a 4-H member for eight years. The purpose of this fund is to assist deserving seniors from Owosso and Corunna High Schools who are sports oriented in their pursuit of further education at any accredited college of their choice. Recipients must have participated in high school athletics, not necessarily excelling in any one sport. The students must demonstrate civic responsibility, compassion and concern for others, and a good character and value system. The intent is to award scholarships to those not receiving a multitude of other scholarships. Financial need is essential and an important consideration. The purpose of this fund is to aid New Lothrop Schools in various projects and programs including, but not limited to, granting scholarships to New Lothrop seniors. Preference is given to those planning to study business. Mr. John F. Northway, who passed away on August 14, 2002, consistently demonstrated his strong support for the Shiawassee Community Foundation. He was on the board of directors of the foundation from 1985 to 1990 and served as an ex-officio member of the board for several years. His generosity over the years helped the foundation grow tremendously, and he will never be forgotten. As a way to pay tribute to Mr. Northway, the board of directors of the foundation started a golf scholarship in his memory. He was passionate about golfing, especially at the Owosso Country Club. This scholarship is offered to youth between the ages of 14 to 18 who would not otherwise be able to take advantage of golfing at the Owosso Country Club. Applicants must be from the Shiawassee County area and have a passion for golf. The scholarship includes five one-hour golf lessons and a golf membership for one season to the Owosso Country Club. Recipients have the same benefits as a yearly member (not a stockholding member) and are allowed to play at the club every day that it is available (excluding days when tournaments, leagues, or outings are held). Recipients must abide by the rules and regulations established by the Owosso Country Club. The scholarship does not include the use of a golf cart and is not renewable. Scholarship checks are made payable directly to the Owosso Country Club for the benefit of the recipient. This fund was started by the Family Court Division of the Shiawassee County Circuit Court to honor the memory of Nathan Nover. Nathan was killed in November of 1998 while serving as a transportation officer for the Shiawassee County Probate Court. Mr. Nover was an Owosso High School graduate in the Class of 1945 who then attended Western Michigan University. He married Beverly Hartley on October 22, 1949. He was a member of St. Paul Catholic Church and served on the airport board. He was a Navy veteran, having served two terms–first in World War II and then during the Korean War. Many people remember him for helping them at Walter’s Shoe Store, which was formerly his dad’s store when it was Tom’s Shoe Store. He was an accountant for General Motors and retired in 1984. He then worked for the Shiawassee County Probate Court in the estate and juvenile division. This scholarship is awarded to seniors and graduates of a Shiawassee County area high school. The student must intend to pursue an accounting or medical career, have a grade point average of 3.0 or higher, and be in at least one extracurricular activity. This scholarship fund honoring Nate Nover was the idea of Duane Ross, who solicited the support of the Nover family and colleagues who had worked with Nate at Walter’s Shoe Store in Owosso. The purpose of the Sparkplug Award is to (a) honor the life of Nate Nover and the contribution he made to the community; and (b) honor an Owosso High School male athlete who personifies the athletic skills, team spirit, leadership, and courage that was shown by Nate in high school and was demonstrated thoughout his life until his unfortunate and untimely death. Candidates for consideration are to be chosen by the Owosso High School Athletic Director and/or staff and must be male OHS athletes from the senior class. Athletes from football, cross-country and track will be given first consideration as Nate was a football player and runner. If no one is a good candidate from these sports, other sports will be considered. Candidates should show some type of community service and good citizenship, including high school extracurricular activities, job experience, and volunteer work. This fund was established by Dennis and Vicki Schaffer as their special way of honoring their parents. Martin and Leona were married in St. Michael’s Catholic Church in Oakley on May 22, 1971. They lived on a 160-acre mint farm on West Juddville Road and also farmed a 40-acre farm in Carland. They were well respected in the farming community. Family was the most important thing to Martin and Leona. They loved and cherished their children and adored and doted on their grandchildren. They enjoyed the simple things in life, spending time with family and friends, playing cards, and doing puzzles. They also loved to go out to eat and were regulars and Greg and Lou’s and Bob Evans. This scholarship is offered to seniors and graduates of a high school in the Shiawassee Regional Education Services District who seek educational opportunities beyond high school. Applicants shall attend a two- or four-year accredited program in the field of Agriculture, Agribusiness, Agricultrual Science, Farm Management, Soil Conservation, other farming related fields of study, or veterinary medicine. This fund was established by the Owosso Education Association to honor the memory of Mary E. Harper. Mary Harper was an inspirational educator who encouraged her students to be critical thinkers. She served on the Owosso Education Association for nearly four decades, where her selfless dedication provided keen and invaluable guidance. She fought tirelessly to maintain and improve the rights and working conditions of Owosso’s school employees and improved the learning conditions of thousands of students through her service to the district. Mary Harper exemplified integrity and honor and was a well-respected member of the school community. She was a true champion of justice and equality; her legacy is one of service, commitment, and professionalism. Scholarships from this fund are offered to Owosso High School seniors motivated for a career requiring at least four years of college or an associate’s degree from a two-year college. This individual should demonstrate leadership and show honorable character, giving promise of completion of career goals. Academic achievement of a cumulative GPA of 3.0 or higher is required, as well as participation in high school activities. Preference is given to a student who has a parent presently a member in good standing of the Owosso Education Association. Second consideration will be given to students interested in a teaching profession. The Owosso Leadership Scholarship Fund was established by the Owosso Public Schools and is made available to Owosso High School seniors who have demonstrated outstanding leadership in student organizations. Mr. Penjaska left a large bequest to the Foundation as a way to make a difference in his community by helping students who, like him, love to invent or simply make a better gadget. After he passed away, his dining room and kitchen tables displayed calculators, protractors, a compass, and pages of handwritten calculations, geometrical drawings, and notations. In the upstairs bedrooms, mathematical books and drawings lay stacked like novels, and blueprints were stacked in every corner. Despite having no education beyond high school, it was clear that engineering and invention were his life. Scholarships from this fund may be used for college, trade school, workshops, and the like, with a primary (but not exclusive) focus on the trades, the physical sciences, and engineering. This scholarship is offered to seniors and graduates of a high school in the Shiawassee County area. Financial need will be considered. Shirley Poirier graduated from Owosso High School in 1936 at the age of 16. She was a homemaker, while her husband Joseph worked in the skilled trades. They lived their entire lives in Owosso. A college education was important to the Poiriers; all three of their children graduated from college with their support. Scholarships are available to Owosso High School seniors. Applicants must be accepted into and plan to attend one of the following universities: Michigan State University, University of Michigan, Eastern Michigan University, Western Michigan University, Central Michigan University, Saginaw Valley State University, Northern Michigan University, Michigan Technological University, Lake Superior State University, Wayne State University, or Ferris State University. This fund was established in 1982 by James and Diane Postema in memory of their daughter, Lynne, who was killed in an automobile accident in 1980. As an active gymnast, Lynne was on her way to Flint to perform at the Whiting Auditorium when the accident occurred. Lynne was born in Owosso on February 19, 1966 and attended Owosso schools. She was a member of the Michigan State Spartan Youth Gymnastics Club, student and assistant teacher at Bohaty Dance School, a member of the U.S. Gymnastics Association, and a Cecchetti Ballet Dancer. The purpose of this fund is to financially assist students in the Owosso – Corunna school system (ages 11 and over) to attend gymnastics sports school at Michigan State University. It is intended that the individual would receive half of the support from this fund. In some instances, the support may be more or less than half of the full cost of attending such an event. Michael Randolph passed away when he was only 19 years old. He was a 2002 Owosso High School graduate who was pursuing a major in chemical engineering at Michigan State University. This fund was started by Michael’s family as a way to keep his memory alive forever. This scholarship is available to Owosso High School senior band percussionists. Recipients should display qualities of civic responsibility, compassion and concern for others, good character, and a value system to live life to its fullest potential. Financial need is not essential. A letter of recommendation from the Band Director of Owosso High School is required. At the young age of 15, David was killed in a farming accident on January 28, 1996. David’s family started this fund in his memory to educate our children on farm safety and/or help those planning to study agriculture. David was a Freshman at Owosso High School achieving above average grades, and he enjoyed working on computers. Evan James Reed was only four years old when he died on August 22, 1997 as the result of a seizure. He was full of life and love, and he left an unending impression on all of those who knew him. His life inspired many people, especially his older sister, Jessica, who has accomplished her dream of becoming a special education teacher. Evan’s family’s hope is that many more people have that same desire. As a way to honor Evan, his family and many friends have established this scholarship fund to keep his memory alive and to honor those who have chosen to pursue a career in the area of special needs education. The recipient(s) shall be seniors or graduates of any Shiawassee County area high school who intend to pursue further education at an accredited institution in the field of special education to aid the mentally or physically challenged/impaired. The recipient should have academic performance that would indicate success at the college level and may re-apply in conjunction with an interview. It is not intended to be grade point sensitive or financial need directed. This scholarship is available to Shiawassee County area high school seniors and graduates, Powers Catholic High School students in Flint, and Lansing Catholic High School students. This fund was established by Andrew’s parents, Anita and Allen, as a way to remember their son. Andrew passed away on September 24, 2012, at the young age of 15. He was a sophomore at Owosso High School, a Shiawassee Scholar, and a member of St. Paul Catholic Church, where he was an altar server. Andrew liked playing video games, taking walks and bike rides, and playing all sports. Scholarship applicants must have graduated or be graduating from a high school included in Shiawassee County, Ovid-Elsie, Chesaning, Powers Catholic High School in Flint, or Lansing Catholic High School. All recipients must have a grade point average to assure the likelihood of completing a college education. The primary use of this award will be in support of tuition, fees, and/or books. Applicants must be active in their church and have a love of animals. Applicant essays must include church affiliation information and a humorous animal story experienced by the applicant. Financial need will also be considered. This scholarship fund was established by Owen Rood in memory of his wife, Arlene, who passed away on October 21, 1998. Owen began his journalism career early. As a sixth grader in Joliet, Illinois, he typed and disseminated carbon copies of a neighborhood newspaper. Showing promise, his father bought him a small printing press during his junior high school years. Owen’s “Chronicle” improved with more fonts and guidance gained from an old time printer who took him under his wing and taught him to use a Linotype. High school and Joliet Junior College honed his skills as he served as editor in both venues. After service in the Marine Corps during World War II, Owen attended graduate school at the Medill School of Journalism of Northwestern University in Evanston. Following ownership and editorship of the “Barnum Herald,” he returned to active duty in the Korean Conflict. In 1952, Owen and his wife, Betty, purchased “The Durand Express.” Arlene came to Durand in 1937, where she met and married George Pilmore. She was a mother of five children and a homemaker. She was urged toward journalism by her son, John, following her husband’s death in 1958. She began working for “The Durand Express” in 1968, first in advertising, and later as business manager. Owen, who was divorced, and Arlene married in 1977 and became co-owners of AOR Corporation, publisher of both “The Durand Express” and “The Shiawassee County Journal” in 1992. Both Owen and Arlene retired in 1997 following the sale of both newspapers to the “Argus Press.” The intent of this scholarship fund is to support the study of journalism by a Shiawassee County area high school senior or graduate, with preference given to Durand High School seniors or graduates. The student selected must intend to pursue journalism as a major in their college degree program. The applicant should have a well-rounded high school curriculum, primarily based on college preparatory coursework. An enthusiasm for journalism is more important than grade point. The applicant must desire to pursue print journalism. In declining priority, electronic journalism followed by general journalism would be acceptable pursuits. This scholarship fund was established by Erwin’s wife, Peggy, as a way to honor her husband of 52 years. Erwin was born on January 3, 1932, in Flint, Michigan. He lived all of his youth in Flint, attending Longfellow Junior High and graduating from Flint Central High School in 1950. He attended college at Ferris State University and graduated from the School of Pharmacy in 1954. In 1952, he married his college sweetheart, Peggy Louise Branch, at St. Thomas Lutheran Church in Trufant, Michigan. After college, they moved back to Flint, where he ran the family business, Ryckman’s Pharmacy, for 11 years and developed health and beauty aid departments for Yankee Stores. In 1965, he moved to Owosso, where he founded Plaza Drug Corporation on North M-52 with partner Jack McGinnis. After doing business for 35 years, the business was sold to Rite Aid when Erwin retired. Erwin loved many things and had a zest for living. He took great pride in his family, loved to travel, golf, hunt, fish, and was an excellent pool player. He spent many happy hours on his boat on Lake Michigan in Frankfort. He was a member of the First Congregational Church, Owosso Hunt Club, Owosso Golf Club, and served on the boards of the Chamber of Commerce, Memorial Healthcare, and Owosso Country Club. He was also a Charter Member of Kapi Si Pharmacy Fraternity. Erwin passed away on August 23, 2004 in Frankfort, Michigan. Scholarships will be provided to needy Shiawassee County area high school seniors, with priority given to students majoring in Pharmacy. The Bill and Kay Scarlett Family Memorial Scholarship Fund was established in March 2005 by the Scarlett family as a way to honor their parents. Bill was born on October 28, 1918 and attended Owosso High School. He grew up around his grandfather’s funeral home on West Main Street in Owosso. His mother and father, Gladys and Albert Scarlett, operated the family-owned cemetery, Hillcrest Memorial Gardens. After World War II, he returned home and graduated from the School of Mortuary Science in Milwaukee, Wisconsin. In 1949, joined by his brother Robert, he began “Scarletts Funeral Home and Ambulance Service” at 409 West Main Street in Owosso. Bill married Kathleen Warner in Saginaw on November 6, 1943. He was a member of the Christ Episcopal Church and was a member of the following organizations: Owosso Elks Club, Owosso City Club, Owosso Country Club, Owosso Hunting Club, Conservation Club, American Legion, Shriners, Owosso VFW, Eagles, Oddfellows, and the Masonic Temple. He was an associate member of the Fraternal Order of Police. He was also a sponsor of Scarletts Bowling Team of the Pioneer League for 29 years. Bill was the Shiawassee County coroner for 18 years. Kay Scarlett was born on August 3, 1924 in Owosso and graduated from Owosso High School in 1942. She was a member of the Christ Episcopal Church for many years. She was a long-time member of the Owosso Country Club, Saginaw Valley Women’s Golf League, the Crazy Eight Girls Club, and the Women’s Bowling Association Golfers League. Bill and his wife, Kathleen, operated the funeral home together until his accidental death in 1980. Following Bill’s death, Kay continued to operate the business until her retirement in 1989. Today the funeral home is owned and operated by Rick and Kim (Scarlett) Mowen under the name Mowen Funeral Home – William A. Scarlett Memorial Chapel. The Bill and Kay Scarlett family started an annual bowling tournament at the Capitol Bowl to raise funds for this scholarship. The first bowling tournament was held in 2005. The purpose of this fund is to provide scholarships to deserving Shiawassee County area high school seniors and graduates who plan to further their education at an accredited college or university within a two-year period after graduating from high school. One scholarship will be awarded to students planning a career in the automotive field in memory of Larry F. Arendt. Financial need will be considered. This fund was started by the family of Ronald Seelhoff to honor his memory and give back to the community. Ronald was born in Rush Township on June 26, 1913. At the age of 16, he graduated from Owosso High School, Class of 1930. He took a job at the Farmers State Bank of Henderson, becoming a bookkeeper in 1933. In 1939, he completed an accounting course and became a junior accountant with Ernst & Ernst in Detroit. He was drafted into the Army in 1941 and served five years with the 8th Army, becoming a second lieutenant and serving in the South Pacific Theater during World War II. He was a member of the First United Methodist Church, where he served as trustee, and served on the Owosso City Council for nine years. He became a Certified Public Accountant in 1947 and was Owosso’s first C.P.A. He was in private practice from 1948 until 1955 and continued a part-time private practice until 1995. He was a Vice President of Owosso Savings Bank from 1955 until 1967. He managed the Owosso office of Ernst & Ernst from 1967 to 1970 and then became the comptroller at Indian Trails until 1976, when he took a consulting position and became assistant secretary and treasurer until his retirement in 1984. He joined the Owosso Rotary Club in 1950, was the club’s president in 1967-1968, and in 1997, was made a Paul Harris Fellow by Rotary in recognition of his work in Rotary and in the community. He served as the Owosso Public Schools business manager with an office in Curwood Castle. He was a member of the Owosso City Planning Commission from 1967 to 1973. He was a member of the National Auditing and Accounting Committee of the National Association of Motor Bus Owners and was a member of the Michigan Association of C.P.A.s. He served on the board of directors of First Federal Savings of Owosso from 1970 to 1976 and on the board of directors of First Federal Savings of Detroit from 1976 to 1989. He was on the board of governors of the Owosso City Club and was treasurer for the March of Dimes. He was an avid golfer and a member of the Owosso Country Club. Ronald was a talented woodworker, producing beautiful clocks, cabinets, and tables. His real love, however, was working outside on the tractor, tending to the lawn and garden. He also enjoyed traveling. Ronald passed away on December 13, 1999. This scholarship is available to Owosso High seniors and graduates, with priority given to those who live in the Henderson area and wish to study finance, accounting, or mathematics. This scholarship is offered by the Shiawassee County Bar Association in honor of its Circuit Court Reporter, Patricia Carmody. Mrs. Carmody began working for Shiawassee County on November 10, 1947 in probate court for the Honorable Roy D. Matthews. She was appointed probate registrar in 1949 and served in that capacity until 1956, when she left the workforce to raise her family. During her time away from the court, Mrs. Carmody continued to practice her profession on a freelance basis. She returned to Shiawassee County in 1979 as a circuit court stenographer for the Honorable Peter J. Marutiak, and on October 26, 1979 she was appointed by former Governor William Milliken as official Court Stenographer for the 35th Circuit Court. Mrs. Carmody served as stenographer for the Honorable Gerald Lostracco beginning in 1985. Mrs. Carmody was a long-time member of the National Court Reporters Association and the Michigan Association of Professional Court Reporters. She received the Gold Notes Award from the Michigan Association of Professional Court Reporters in recognition of 20 years of service, as well as the Gold Notes Award from the National Court Reporters Association in recognition of over 50 years of “dedicated services to the court reporting profession.” She was also recognized as Professional Secretaries’ International Secretary of the Year in 1983 and was the 1995 Liberty Bell Award recipient from the Shiawassee Bar Association. This scholarship is available to all law students, high school seniors, and college students studying a law-related profession. This includes: paralegal, court reporter, criminal justice, law enforcement, legal secretary or administrative assistant, law or pre-law curriculum, or other law-related field. Students must either: a) reside in Shiawassee County; b) have graduated from a high school in Shiawassee County; or c) be planning to graduate from a high school in Shiawassee County. This fund was established to honor the memory of Joseph T. Sierzenga, III, who was killed in an automobile accident on September 3, 1997. Joseph was born in Detroit on March 23, 1954. He married Elizabeth Golibart on August 11, 1978. He began teaching at Morrice Elementary School in 1978 and served as principal of the school since the fall of 1993. He graduated from Central Michigan University, where he played football for four years and was a member of the 1974 National Championship Team. He earned a B.S. in Education in 1977 and an M.A. in Educational Administration in 1997. He served as a consultant and trainer with Ed Ford and Associates, where he authored chapters on school discipline in the Ed Ford Publications. Joseph was involved in the lives of his children and the youth of his school, Morrice Elementary. He was the former head coach of Morrice High School football team and former coach of the Owosso High School football team and the Flushing-Owosso Thunder Premier Travel Soccer Team. He served as coach for the Surge Travel Soccer Team, for which his son, Joseph, played, and he coached the Razzberry Roadrunners Owosso Girls’ Soccer Team, for which his daughter, Jaimi, played. He was an active member of St. Paul Catholic Church, a former member of the Knights of Columbus #1139, a member of the Michigan Elementary and Middle School Principals Association, and an avid sports fan for county schools. The recipients of this scholarship shall be seniors or graduates of any Shiawassee County public school. It is intended for those who are interested in pursuing further education after high school. It is not intended to be grade point sensitive or financial need directed. The Robert G. Skinner Memorial Scholarship Fund was established in June 2013 by his wife, Margaret, and daughter, Debbie Nowlen. Scholarships are available to Byron Area High School Seniors planning to attend a college or trade school. Participation in any high school athletics is required (it is not necessary to have excelled in athletics). Robert “Bob” Skinner was very well-known and active in the Byron community. He lived his entire life in Byron and graduated at Byron High School with the Class of 1953. Bob was involved in numerous community services–some of his involvement included being President and Treasurer of the Village of Byron, Byron Area Schools, Township Board of Review, Fire Department, and he was very involved with the athletic program in Byron and surrounding communities. This fund was started from the estate of Marjorie N. Smith and is named to honor her parents, Stephen and Pauline Smith. Scholarships from this fund will be awarded to Durand High School seniors who have a 3.0 GPA or higher and are in need of financial assistance. Scholarships may be used for college or trade school. Marjorie graduated from Durand High School in 1941, after which she earned a degree in physical education from Michigan State University. She then received a Master’s degree and went on to teach health and physical education for 26 years at Citrus College in Glendora, California. Although Marjorie lived in California for her adult life, she always considered Durand her home. She remained active in the community and supported many local projects, including school sports programs, Veterans Park, the alumni reunion, and Durand Union Station. In 2015, Marjorie was selected as the Durand Distinguished Alumnus because of her philanthropic endeavors. Her wishes will be carried on forever for the benefit of Durand students. This fund was established by John and Joan Spindler, parents of Jennifer Spindler, who passed away unexpectedly November 6, 2015. Jennifer was born on June 20, 1964 in Owosso, Michigan. She graduated from Owosso High School with the Class of 1984, representing her class as student council president. Jennifer then attended Michigan State University, where she graduated with a bachelor’s degree in communications. She was a member of 4-H, in which she maintained and cared for horses. Jennifer was a board member of the Michigan High School Athletic Association, was involved in Holland Recreational Football, and was a proud “soccer mom.” She worked at Herman Miller, a large furniture company, where she specialized in accounts with government contracts. She also worked in job placement for Michigan Works, an unemployment office for the state of Michigan. Jennifer’s true passion was her family: she loved being a mother and was a proud parent to three children. She loved being active in their lives through school, activities, and especially sports. 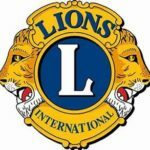 Scholarships from this fund are offered to seniors and graduates of a high school in the Shiawassee Regional Education Services District planning to study either veterinary medicine or agriculture at a college or university. Preference is given to 4-H students, and financial need is considered. This fund was established by Brian and Linda Swatman in memory of their son, Devin, who lost his life at the age of 22 in an automobile accident. Devin worked with his father in construction. Devin was born in Owosso on June 3, 1970 and graduated from Owosso High School with the Class of 1988. He studied construction management at Ferris State University, graduating in 1991. Devin loved sports and was the Captain of the Owosso High Football Team in 1988. Scholarships from this fund are granted to Owosso High School seniors and graduates who have been accepted at an accredited institution, which may include two- and four-year colleges as well as technical and/or vocational schools to further their education in the following fields of technology: automotive, construction, electrical/electronics, graphic arts, industrial, or mechanical. The Roger and Marian Talbot Family Fund was established by Roger Talbot in October 2009. His wife of 52 years, Marian, passed away on September 27, 2008. Marian was born on October 29, 1935 at Houghton Lake, Michigan. She attended Byron High School for two years, then graduated from Durand High School in 1953. Roger and Marian were married in Durand on July 28, 1956. Marian worked at Simplicity Engineering for several years and then sold real estate for two years before going to work for Byron Area Schools for 11 years as lunch coordinator and bookkeeper. Marian and her family built and operated Walnut Hills Campground in Durand for 13 years until retirement. Marian and Roger then traveled for five years across the United States and built their home in Byron, where they resided since. 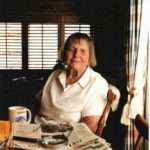 Marion had a passion for animals, riding horses, feeding the birds, riding her moped, ice skating, playing cards, camping, painting, and absolutely loved working in her flower garden. She was such a hard worker and would always be the first to help someone. Scholarships from this fund are available to Byron High School seniors and graduates, with preference going to those students planning to attend Baker College, Central Michigan University, Ferris State University, Lansing Community College, or Michigan State University. Irene was born on May 21, 1925 in Venice Township, the daughter of William Leslie and Alma Turk and sister to Iris (Turk) Lott. She went through the eighth grade in the Forest School District and then attended Owosso High School, graduating in 1943. After graduation, she worked for two years at the AC Defense Factory as a final inspector of bombsight, gunsight, and automatic pilot systems. After the war, she enrolled at Michigan State Agricultural College (Michigan State University) and graduated with a degree in art and engineering in 1948. Irene was the first art teacher hired in the Flushing and Durand school districts. She then returned to AC, where she worked for five years designing the Skysweeper and guided missile systems. She then was called back to teaching as the art supervisor of the Owosso schools. Irene retired from teaching in 1982. She then enjoyed traveling and visited 50 states and 30 countries with her parents and sister. Irene also raised peafowl and registered Angus and Hampshire sheep. Her special interests were art and history. She was a member of the State Democratic Association and a lifelong member of the Daughters of the American Revolution. Irene passed away on July 10, 2009. Scholarships from this fund are awarded to Corunna or New Lothrop High School seniors and graduates with at least a “B” average who are majoring in Art, Education, Engineering, or Technology. Financial need will also be considered. This scholarship fund was established by Irene Turk in memory of her sister, Iris. Scholarships from this fund will be awarded to Durand or Byron High School seniors and graduates majoring in Education, Engineering, or Technology who have at least a “B” average. Financial need will be considered. Brad Van Pelt, a native of Owosso, played football at Owosso High School and Michigan State University. The all-pro linebacker then went on to the New York Giants, Los Angeles Raiders, and finally, the Cleveland Browns. When this scholarship fund was created in 1972, Brad said, “I am certainly excited that Owosso wants to honor me just because I’m an athlete, but the thought that even one person might get a chance to attend college because of the scholarship fund pleases me much more.” Brad passed away in February of 2009. Scholarships from this fund are available to Owosso High School seniors attending any accredited college or university. The Carson James Vincent Memorial Fund is available to Ovid-Elsie High School seniors planning to attend college or trade school. Students must have participated in high school athletics and have a letter of recommendation from an Ovid-Elsie coach. Financial need will be considered. Carson was born in Owosso, MI on November 10, 2000 to Jeff and Michelle (Martin) Vincent. He graduated from Ovid-Elsie High School in 2018, where he was active in football, track and field, and basketball. Carson held several records at the school, including field goal percentage and scoring over 1,000 points. He was the second-highest scoring player in Ovid-Elsie’s basketball history. Carson was attending Mid Michigan College in Mt. Pleasant, where he was on the basketball team. He enjoyed chicken tenders and bagels, and he loved spending time with family and friends. He had a real gift for making everyone laugh. Carson passed away on September 16, 2018 at the age of 17. This scholarship fund was established by Troy’s parents as a way to remember their son. He was born on April 11, 1979, the son of Keith and Nancy Vincke. Troy graduated from New Lothrop High School with the Class of 1997. This scholarship honors a special young man whose life ended too soon in a construction accident. Troy is remembered for his athletic abilities on the football and baseball fields, receiving honorable mention all-star acclaim for both sports. He was also a member of the National Honor Society at New Lothrop High School. When he was a senior in high school, Troy wrote his motto, “Work as hard as possible at the important things, and the little things will take care of themselves.” He was unique in his appeal to both peers and adults and in his ability to enjoy where he was at the moment–be it with friends, family, fishing, hunting, snowmobiling, or playing sports. The recipients shall be seniors of New Lothrop High School. The Vincke Family would like to see a well-rounded, deserving, “good” kid as a recipient rather than using a high grade point as the measure. This fund was established by Adrian and Myrtle DeBoom in memory of their daughter, Mary Bea, who graduated from Owosso High School in 1951. Mary Bea was born on January 27, 1934 and attended the McCall one-room school. She went on to complete her elementary education in the Owosso Public Schools. Mary Bea was a receptionist in the offices of WOAP radio as a co-op student her senior year of high school. This position continued for one year following her graduation. She left WOAP to become a secretary with the Michigan Teacher’s Retirement Board in Lansing. At the time of her passing, she was a secretary in the office of the Superintendent of Public Instruction in the Lansing Division of Legislative and Public Affairs. She married William Wasper in 1957 in Owosso. The scholarship is available to graduating Owosso High School seniors who wish to pursue a career in business. Applicants must have a satisfactory school attendance record. While most charitable funds at the Shiawassee Community Foundation have a sole focus, this fund is unique in that it serves three purposes. Each year, the fund will award a college scholarship and one or more community grants. A portion of the fund’s balance will also be allocated to support operating expenses for the Foundation. Scholarships from this fund are available to all Shiawassee County area high school seniors and graduates, including students from Ovid-Elsie and Chesaning. Preference will be given to those studying in the fields of healthcare, education, music, non-profit/community service, or ministry. Merijo Wieber died in a motorcycle accident in May of 2000 at the age of 39. Her Emerson School family started this fund as an everlasting memorial to Merijo. She was a special education teacher at Emerson School. This scholarship is available to Owosso High School seniors and graduates who plan to attend an accredited college or university with the goal of becoming a special education teacher. The Carl R. Woodbury Memorial Fund was established in 1994 by his daughter, Mary Ellen Spradlin, to assist a deserving senior student in furthering their education at an accredited college or trade school and planning to study mechanical engineering or metallurgy. Carl was involved with co-op students through the shop classes at both Owosso and Corunna schools. This scholarship alternates each year between Owosso High School and Corunna High School. Carl owned and operated Woodbury Sheet Metal Company in Owosso and retired in 1990 after a lifetime of involvement. He was born in Owosso on January 5, 1919 and graduated from Owosso High, Class of 1937. He served in the U.S. Army during World War II. He married Louise Matthews on June 30, 1955. He was a member of the First United Methodist Church, member of the United Methodist Men, life member of the Owosso F & AM Lodge #81, served on the Owosso City Council from 1981 to 1985, served on the committee for the preservation of the Shiawassee County Courthouse, served on the board of directors of Equality, Inc. He was once called upon to provide custom parts for the Michigan State University Cyclotron. This fund was established in 2015 in memory of Kevin A. Zmitko. Kevin passed away in a tragic farm accident on October 22, 2014 at the age of 33. Kevin worked on the family farm for the majority of his life. He was born on February 24, 1981 to Jerry and Carolyn Zmitko. He graduated from Corunna High School in 2000 and was an active member of FFA during his time at Corunna. After graduation, Kevin spent most of his time working on the family farm, which he thoroughly enjoyed. He was an extremely hard worker with a strong work ethic. He had a love and passion for fishing and hunting. 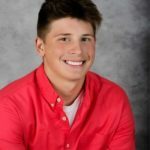 In honor of Kevin, a scholarship will be available to Shiawassee County area high school seniors and graduates who are planning to pursue a degree in agriculture. The Zonta Club of Owosso started this scholarship fund in January of 2014 to assist Shiawassee County area high school female seniors in pursuit of their Associate or Bachelor’s Degree. Applicants must possess strong leadership skills and must demonstrate academic excellence and financial need. The Zonta Club is one of over 1,200 clubs of Zonta International. Zonta takes its name from the Lakota Sioux Indian word meaning “honest and trustworthy.” Zontians volunteer their time, talents, and energy to local and international service projects that are designed to advance the status of women.